Not the end of this blog, but the end of our time in St Marys. After a decade in this small Ontario town, we've sold our beloved Victorian villa and are preparing to head east to the even smaller Ontario town of Merrickville, southwest of Ottawa. As with the previous move, we're telling ourselves that this will be the last. It may be. At the very least, it will be different in that we plan to build our new home. Packing up my collection of obscure, not-so-obscure, and quite common Canadian literature – all 3895 books – has become a depressing chore. So many I've been meaning to read remain unopened; so many I'd planned on reviewing here remain untouched. Leading this sad parade is Turf Smoke, John Coulter's lone novel, published in 1945 by Ryerson. Who remembers that John Coulter wrote a novel? 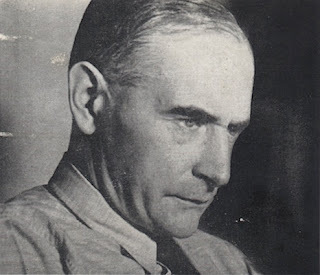 Once our foremost playwright, I first encountered his name in a university course titled Introduction to Canadian Drama. Coulter's big play, Riel, was assigned but couldn't be read because it wasn't in print. 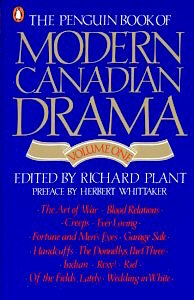 Instead, we studied an excerpt that had been included in The Penguin Book of Modern Canadian Drama, Volume One (Toronto: Penguin, 1984). There has never been a Volume Two. I've always been drawn to novels more than drama, which explains how it was that in 1985 I spent four dollars, over half my hourly wage at Sam the Record Man, on this first and only edition of Coulter's first and only novel. I suppose it says something about my reaction to Riel that I've still not read Turf Smoke. I'm being horribly ungrateful because it was in packing and unpacking Turf Smoke that the idea of a series focussed on forgotten Canadian writing by forgotten Canadian writers first took hold. If my count is correct, my copy has survived fourteen moves, and has twice made it to Vancouver and back. This move, nearly all of my books will be packed away until our new home is built. 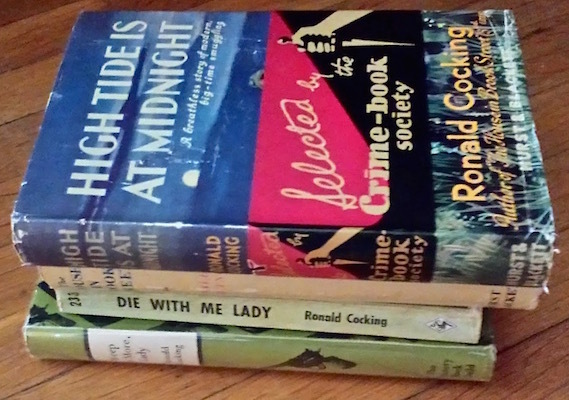 There'll be no more scanning the shelves in the wee hours, standing in semi-darkness, wondering what next to read. Decisions must be made now! And so I find myself putting aside books I hope to reading over the next eighteen months, while boxing up others. Coulter's novel didn't make the cut. Yesterday, it joined my Ronald Cocking collection, my H.A. Cody collection, my Ralph Connor collection, and a pristine copy of Prelude to a Marriage: Letters & Diaries of John Coulter & Olive Clare Primrose (Ottawa: Oberon, 1979) in a box destined for storage. 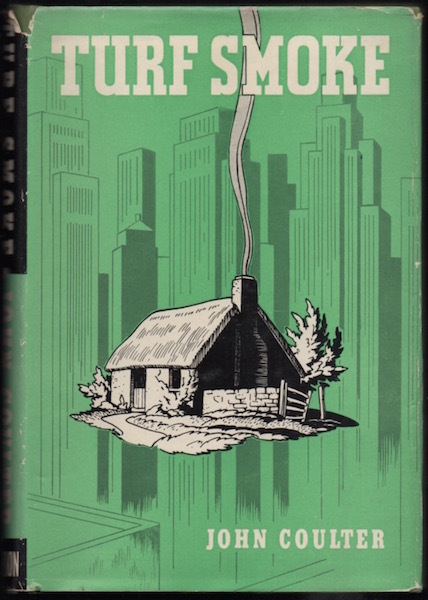 Packing it away for the fifteenth time, Turf Smoke inspired a sub-series, The Dustiest Bookcase, which will focus on forgotten books I've long meant to read and review (but haven't). The Dustiest Bookcase appear from time to time until we've built our new home and I unpack Turf Smoke. I vow to read it when I do. I wish you and yours the best of luck in your new home, and I look forward to reading The Dustiest Bookcase. Thank you, Daniel. Your best wishes are much appreciated. I'm so glad to know that someone else has moved unread books multiple times. My husband is a very patient man. The patience of a saint, I'd say. You chose well, Debbie. If we ever get to ottawa, we will look you up. Godspeed. We'll still be around until early July, Patti. Don't know what your plans for Stratford are. Agreed. It's uncredited, but I'm fairly certain that the artist is Arthur Steven. Thank you, John. We won't be neighbours exactly, but we'll be a lot closer. Here's hoping our paths cross soon. 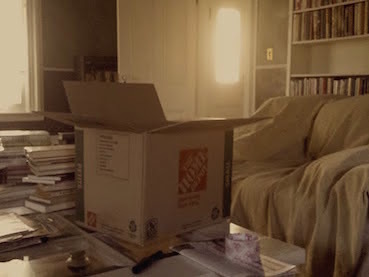 Well, since you're building your own house, you have free range with bookcases. Since books like Smoke Turf have survived 14 moves unread, have you considered delegating some books to other reviewers? Okay, call it outsourcing. Happy packing. I'm sure lots more memories will surface as you go.